Srinagar, January 22 (KMS): In occupied Kashmir, the Chairman of All Parties Hurriyat Conference, Syed Ali Gilani has appealed to the Amnesty International, Asia Watch and other world human rights organizations to conduct a thorough probe into all unfortunate incidents of mass killings. Srinagar, January 22 (KMS): In occupied Kashmir, the custodians of a religious seminary in Sopore town of north Kashmir’s Baramulla district have said that the army ransacked its property during its raid, last night. At around 11:30 pm, troops of Rashtriya Rifles stationed at Sopore barged into the Darul-Uloom Maharajpora and ransacked the property. Srinagar, January 22 (KMS): In occupied Kashmir, the Hurriyat forum and the Jammu and Kashmir Ittehad-ul-Muslimeen have said that India has been subjecting the people of Kashmir to the worst kind of oppression for the past several decades and New Delhi has no right to celebrate its Republic Day in the territory. Srinagar, January 22 (KMS): In occupied Kashmir, the President of Jammu and Kashmir Muslim Conference (JKMC), Mohammad Sultan Magray has urged peaceful and democratic settlement of Kashmir dispute. Jammu, January 22 (KMS): In occupied Kashmir, the Chairman of Jammu Kashmir Social Peace Forum, Advocate Devinder Singh has said that dialogue is the only way to resolve the lingering Kashmir dispute. Srinagar, January 22 (KMS): In occupied Kashmir, the Jammu and Kashmir Peoples League has condemned the detention of party Chairman Mukhtar Ahmad Waza and other pro-freedom leaders. The JKPL in a statement issued in Srinagar said, Mukhtar Waza, who was released recently, was placed under house detention again. “There is no space for pro-freedom leaders to carry out peaceful political activities,” the statement said. Meanwhile, the Indian authorities continued to put Hurriyat leaders including Mohammad Ashraf Sehrai, Ghulam Ahmad Gulzar, Bilal Sidiqui, Mohammad Ashraf Laya, Umar Aadil Dar, Mohammad Yasin Aatai, Syed Imtiyaz Haider and Ashiq Hussain Narchoor either under house detention or in jail. 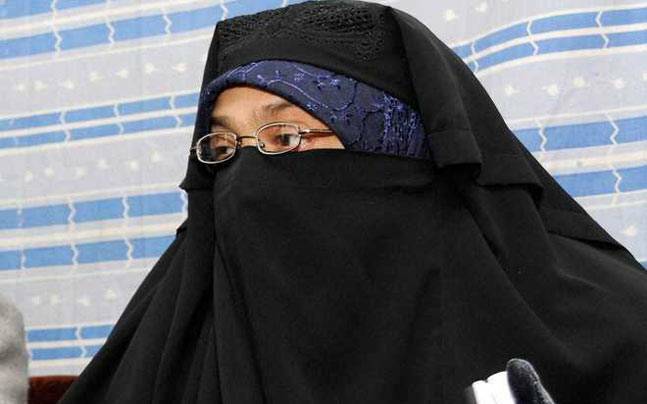 Srinagar, January 22 (KMS): In occupied Kashmir, the Chairperson of Dukhtaran-e-Millat, Aasiya Andrabi has said that Indian rulers have never been serious about addressing the lingering Kashmir dispute. Srinagar, January 22 (KMS): In occupied Kashmir, the family members of an enforced disappeared person, Siraj-ud-din Farooqui have appealed to the international human rights organisations to intervene for mitigation of their sufferings. Jammu, January 22 (KMS): In occupied Kashmir, delegations of Jammu and Kashmir Peoples Movement and Jammu and Kashmir Freedom Movement separately visited the family members of eight-year-old victim girl, Aasifa, at Heranagar in Kathua.